SPOILER WARNING FOR JAWS, HARRY POTTER, THE HUNGER GAMES. The terms “hero” and “protagonist” have become nearly interchangeable. Writers and readers will nearly always refer to major characters in a story as the hero or the heroine. While every lead character who is a hero or heroine is a protagonist, not every protagonist is a hero or heroine. I think the events of the past week illustrated the difference in a startling way. When the bombs went off at the finish line at the Boston Marathon, almost the first thing people noticed when the footage ran on TV and the internet was how first responders and a few other individuals immediately ran TOWARDS the site of the explosions. Almost everyone else—who was still mobile—ran away or walked around in a daze. If anything makes someone a hero, it’s running towards the danger rather than away from it. That doesn’t make those who ran away bad people. It just makes them normal. Human beings have a strong survival instinct, and at a moment of danger, we usually do all we can to get ourselves away from it as fast as we can. There were many random acts of kindness in the aftermath of the bombings, to be sure—but most did not involve running towards the danger. There’s a popular belief in the concept of the Everyman Hero. Again, like the word hero alone, I think this has become a misused term. Many people think it means that everyone in the right circumstances will behave heroically. What it actually means is that heroes can come from any circumstance—they can be educated or illiterate, upper class or lower class, they can be someone who did bad things who may redeem themselves through heroic acts. Heroism can come from anywhere, but not everywhere. I can already hear the cries of elitism and arguments such it’s the job of first responders to run towards danger. But they choose the job of running towards danger. Most of us don’t. Of course, heroes don’t JUST run towards danger—people who thrill-seek, for instance, aren’t necessarily being heroic—they do it to help others, either to save them from the danger or for the advancement of some greater good. That doesn’t mean they don’t experience fear. They do. It doesn’t mean they don’t want to live as much as anyone else. They do. It means that there’s something inside them that compels them to overcome that survival instinct and risk themselves to help others. I’ve heard some fictional characters described as “everyman” or “everywoman” in the sense that they’re supposedly just ordinary people in extraordinary circumstances. Here’s one of my favorites—Harry Potter. Um, Harry Potter was anything BUT ordinary. He was The Boy Who Lived, marked with the lightning-shaped scar. He was the boy who agreed to die because it was the only way Voldemort could die. How many “ordinary” people would have agreed to do that, regardless of the circumstances? I’m guessing most would have told Dumbledore to shove it and let Voldemort take over. Harry in a lot of ways SEEMS ordinary—Snape was not wrong when he called him a mediocre wizard, and you know he and Ron would never have been able to find their own behinds without Hermione. Yet he had the extraordinary ability to put the greater good above his own survival. Like Harry, she has her faults (she’s one of the most reluctant heroes you’ll ever come across) but she still runs towards danger to protect those she loves—and later, to free her society. 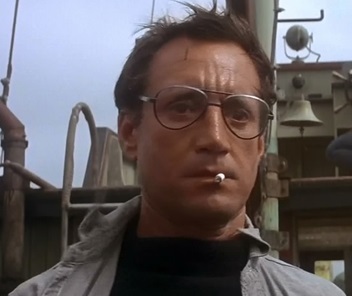 One of my favorite “ordinary” heroes is Chief Brody from the movie Jaws. Even though he’s a cop, I’ve heard people describe him as a bumbler. Brody is a man who is adjusting to a completely foreign environment (from New York City cop to Chief of Police of a small seaside community). Brody is more than just foreign to the environment—he’s deathly afraid of it, because he has a terrible fear of water. When a rouge shark begins attacking humans off the shore of his community, he is easily intimidated by the town officials into keeping the beaches open. Because of this, more attacks happen, including one that results the death of a young boy. His own son narrowly escapes an attack. The community finally seeks a solution and hires a couple of experts—a fisherman named Quint and a marine biologist named Hooper. At this point, no one—not even the mother of the dead boy who slapped him for keeping the beaches open—would have blamed Brody for stepping aside and letting the experts take over. He doesn’t do that. In this case, he doesn’t run towards danger—he sails towards it, even though he is terrified of the ocean, never mind the killer shark. While Brody does seem a bit of a “bumbler” in this environment, it’s important to note that he’s New York City cop (it’s very subtly implied during the famous “scar comparison” scene that he was injured, possibly shot, on the job) so has an area of competence. The two “experts” who are comfortable in the environment fail to kill the shark. It’s the outsider who succeeds in defeating it, all the while combating his fear of the water. He doesn’t give up because he’s taken on the responsibility for the community he guards. Does that mean every protagonist has to be a hero? Absolutely not. There are, of course, anti-heroes and tragic heroes, but it is perfectly possible to compose a story about someone ordinary, though I would argue there is always SOMETHING about a successful protagonist that is special. They just don’t always have to be heroes. I loved this analysis of goodness and heroism… there’s something really inspiring and uplifting about even reading about heroism, and rising to the occasion, even when it’s fiction, thank you !!! Thank you, Valerie! Glad you enjoyed reading it! I appreciate the way you describe the commonly-held fallacy of the ‘everyman’ hero. It’s a great explanation. Thanks. I’m moving this week so don’t have time to write a fresh blog post. I’ve reached into the archives and pulled out this oldie but goodie. 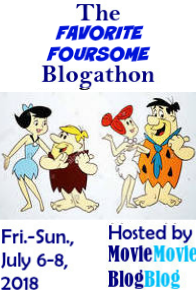 See you next week with a new post–assuming I can get everything up and running in time!